This is not a new trend by any stretch, but it’s one that is now found everywhere. The kitchen opens into the great room. Home size is not necessarily changing. But, formal dining space is being absorbed into the kitchen, master suites, or niche areas. Include a small office space in the kitchen or laundry room to conserve space. Or, try a butler’s pantry or small catering kitchen. When you live in a mild climate where you can spend virtually all year outdoors, creating an outdoor living space is essential. Anything goes – it can be as simple as a firepit or a kitchen complete with a pizza oven. Everyone always ends up in the kitchen. So, include a large island, ready to seat four to six people, in your kitchen design or redesign. 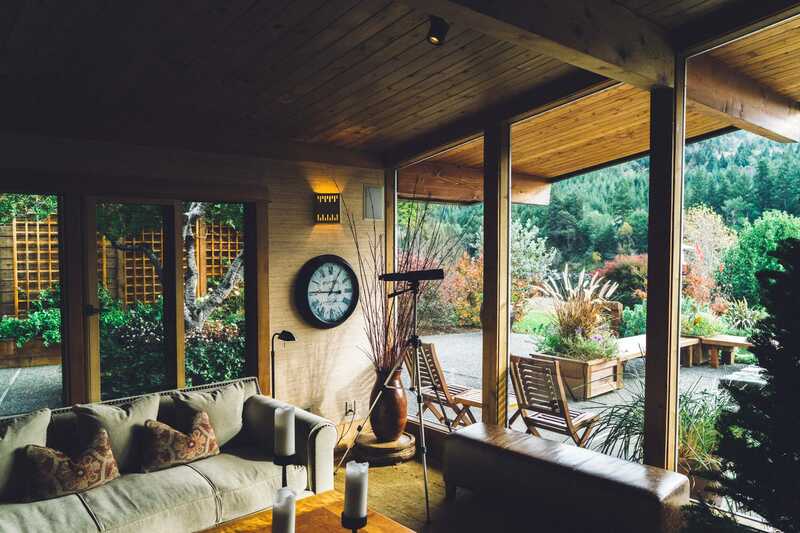 People 55 and better prefer to have low-maintenance exteriors and landscaping. Often planned communities offer this option. Creating a legacy space that all generations can enjoy is a great way to spend the latter years. It’s great to have the extra space for golf cart, bicycle, or kayak storage, in addition to the two cars. Here’s a stroke of genius. For couples who have a noisy spouse, an outer room to the bedroom with a bed can provide that much needed escape. The master suite is a room of relaxation complete with a spa-like bathroom. A second master suite provides that level of elegance for guests. Watch out, they may not want to leave! What if every American home replaced just one incandescent bulb with an ENERGY STAR LED bulbs? • The annual energy savings would total $700 million. • It would prevent 9,000,000,000 pounds of greenhouse gas emissions per year, the equivalent of 800,000 car emissions. What if everyone had a timed thermostat? • The average single family home would accrue energy savings of $180 per year. • Each family’s CO2 output would be reduced by 2,059 pounds per year. • If 20 million homes installed timed thermostats, then energy savings would be $3.6 billion/year. It would also save 41 billion pounds of CO2 (the equivalent of 3.4 million cars). What if everyone turned down their water heater temperature by 10 degrees? • Every 10 degree reduction results in a 3 to 5 percent reduction in CO2 emissions. • If 20 million homes reduced their hot water heaters by 10 degrees, resulting energy savings would be $1.18 billion/yr. nationwide and 14.6 billion pounds of CO2 would be saved, the equivalent of 1.2 million cars emissions. What if everyone installed low flow water fixtures? • You would save 55 gallons of water for every 10-minute shower you took. • By switching from an eight gallon per minute (gpm) flow to a 2.5 gpm flow, energy savings + reduction in water usage would be equivalent to $320/year. • If 20 million people switched to low-flow shower heads, we’d save 401 billion gallons of water each year. Do your part to help conserve Earth’s resources. Implement these low-cost, cost-saving, energy-saving ideas in your own home. If you’re diving into the relocation process, then plan ahead by honing in on communities that supports green living. 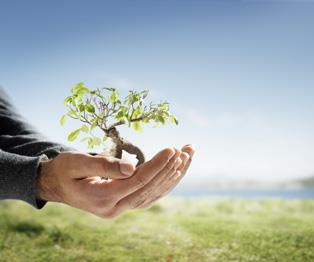 Click here to find green living communities in areas that you’re interested in. This information was gathered from Energy.gov. For additional information on energy savings click here. Choose Your Ideal Community With Confidence! As you may have already discovered, there are many private retirement, vacation and golf communities to choose from that the choices may seem confusing and, at times, even overwhelming. Thankfully, ideal-LIVING gives you an enjoyable complete way for you to consider and inviting variety of private communities, compare them, and schedule Discovery Tours when you wish. So you can choose your ideal community with confidence. Since 1989, ideal-LIVING has been helping thousands of people a year choose their ideal community. We do it with a unique and delightfully informative combination of on-line, live, and print resources. Ideal-LIVING.com is your unmatched anytime resource to explore retirement, vacation, golf, and 55+ communities, book discovery travel, see our schedule of regional community expos, and subscribe to ideal-LIVING magazine. Ideal-LIVING’s regional Real Estate Expos are delightful learning experiences where you can meet with representatives of participating private communities, attend free seminars, and arrange Discovery travel to the communities you think just might turn out to be your ideal community. Ideal-LIVING magazine provides information and stories about destinations, lifestyles, and home designs. It lets you learn about private communities at your leisure and keep up with the latest trends. We’ve prepared the short “Self-Discovery Questionnaire” to help you discover what you’re looking for in your ideal community. It’s an excellent early step to help you set priorities on the way to choosing your ideal community with confidence. Fill out this simple form and we’ll send you our inviting and comprehensive color guidebook to private communities, called “Choose Your Ideal Place.” It’s a handy, concise Discovery Travel Guidebook that just might be the perfect way for you to find your ideal community. We all know why Florida is such a popular retirement destination. Year round sunshine, white sand beaches, and plenty of fabulous places to live creates quite a draw. Developing master-planned communities that reflect the dream-life that Florida promises takes experienced builders, and Minto is one the best. Let’s take a closer look at some of their most popular communities in the Sunshine State. Perfectly placed in the center of Bonita Springs, Bonita Isles lives up to its name. This beautiful lakefront community features both single-family homes and luxury paired villas. Choose the one that’s right you. Enjoy award-winning floor plans and plenty of outdoor living space. There’s something for everyone at Bonita Isles. Want to keep fit? Visit the fully equipped gym, resort-style swimming pool or tennis courts. Golf fans are taken care of with an abundance of nearby courses. Water sports lovers have plenty of options to choose from too. In addition to being a peaceful oasis, Bonita Isles is also a vibrant place to live. Located between Naples and Ft. Myers, you can visit the bright lights of the big city whenever you’re in the mood. Discover world-class shopping, fine dining and a variety of live entertainment. Welcome to Laureate Park, situated in sunny Orlando. This community has all the special Minto features with some additional advantages. What makes this community stand out? 1 – It’s not far from Orlando International Airport which makes travelling to visit family super simple. 2 – Laureate Park is an exceptionally ‘green’ community. Around 40% of the land has been left in its original natural form. All this open space allows for more than 1,000 acres of scenic waterways with water activities, miles of trails (paved and unpaved), golf, tennis and family friendly parks. 3 – This Florida community is in Lake Nona’s Medical City, which means that some of the best medical facilities are just around the corner. Add to this everything you would expect in terms of stellar amenities, beautiful homes and a vibrant atmosphere, and it’s no wonder Laureate Park is such a popular community. Welcome to TownPark – Port St. Lucie’s premier gated community. Situated in the heart of the master-planned community of Tradition, there are 360 degrees of stunning views. With acres of peaceful lakes, clear waterways, and endless trails, Townpark is the nature lovers paradise. and billiard parlor, there’s plenty to be inspired by. In addition, there’s tennis, bocce courts, pickleball, and organized activities so that you can meet like minded neighbors. Another Minto treasure lies in Bradenton, Florida, on the Anna Maria Sound. Minto Harbour Isle. All things considered, it’s hard to beat the pristine setting of this waterfront community. This is Florida’s last private island, and with its sugar white shoreline, and turquoise ocean, it is, in essence, a bit a heaven. Minto Harbour Isle is an ideal destination for nature and water lovers alike. The community wraps around a 38-acre lake, and flanks a large mangrove preserve located on the east side. Roseate Spoonbills, ospreys, dolphins and manatees are among wildlife that can be spotted on the landscape and in waterways daily. All of this coupled with six different customizable model homes to choose from, you’ll have no trouble finding the lifestyle you want here. Looking for some fun on a warm, summer evening? Homes Beach and Anna Maria Island are both minutes away. You’ll find award-winning restaurants as well as boutique shops, theater, and live music. Portosol in Royal Palm Beach is one of the region’s most sought after communities. One of Florida’s most coveted towns, Royal Palm Beach’s vast landscape of natural beauty is, in a word, stunning. Not only is Portosol complete with the finest Minto touches and open green spaces, but it’s also as affordable as it is breathtaking. The homes are spacious and boost award-winning floor plans. And, stunning natural beauty, crystal clear lakes, and local wildlife surrounds them. Take advantage of a clubhouse equipped with a fitness center and resort-style pool. The billiard parlor, outdoor basketball courts and tennis courts are also popular. Is nightlife and culture equally important to you and/or your spouse? PortoSol offers easy access to a range of stores, arts and restaurants. Not far from the Mall at Wellington Green, the South Florida Fairground, and the Kravis Center for the Performing Arts, there’s always something interesting to explore. Minto Communities is one of North America’s leading builders offering a wide array of award-winning new homes and resort-style master-planned communities in warm, sunny Florida. It’s no surprise that Minto is at the vanguard of building homes with the latest and most sought-after design trends. This preeminent Florida builder has earned multiple national awards in community and home design. 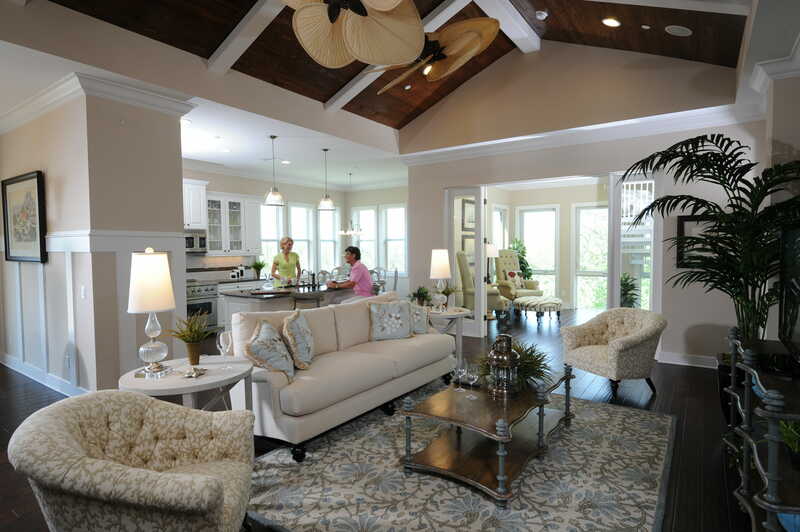 Perhaps the strongest lifestyle element in today’s new homes is open floor plan living. Minto has several plans where the main dining area has been incorporated into what would have been the kitchen nook area. This creates dynamic entertaining spaces where owners can comfortably host up to 15 dinner guests. Grey continues to be an important element for interior finishes, including flooring, fabrics, and woods. “Grey Plus One” color schemes are very popular, and can be adapted to both contemporary and more traditional schemes. Variations of blue, green and teal are also popular, especially with homeowners who choose coastal themes. Gold metallic finishes are making a comeback, and are seen in lamps, art frames, and metal accent furniture such as cocktail tables and table bases. natural environments in which they are located, along with offering an abundance of resort-style amenities that give residents easy access to nature, fitness, and social activities. “Minto developments are meticulously planned to create sustainable communities that embrace nature and the active lifestyles of today’s buyers,” notes Minto Senior Vice President William Bullock. Harbour Isle—an island community of luxury coach homes and resort villas located on Anna Maria Sound in Bradenton, Florida—features a gated entry that is distinguished by a lighthouse-inspired observation tower. A Royal Palm-lined streetscape borders a 38-acre lake for kayaking at the center of the community, and residents enjoy a two-mile walking path that encircles the island. Residents can cool off in any of the three resort-style pools, stay in shape at the fitness center, and relax at the Beach Club that overlooks gorgeous Anna Maria Sound and features a Sky Bar Lounge. A uniquely situated 2,400-acre community, The Isles of Collier Preserve is bordered on the south by Rookery Bay National Estuarine Research Reserve, north by Naples Botanical Garden, and west by Dollar Bay. Minto has dedicated more than half of the community’s land to preserves and natural habitat. Residents are connected to this beautiful, pristine setting by a network of recreational trails, bike paths, and waterways for kayaking. The Isle of Collier Preserve provides a tranquil, natural environment, along with the convenience of being only minutes from downtown Naples. Home styles reflect a casual coastal elegance and include luxury villas, coach homes, and single-family homes. Minto’s distinctive luxury touches feature architecturally detailed ceiling treatments, bay windows in the master bedroom, bright, open floor plans, large kitchens with dining and preparation island, great outdoor spaces, plus intimate, get-away rooms such as reading and hobby rooms. If you’re considering moving to a master-planned community in Florida, keep in mind that Minto offers state-of-the-art home design in the most desirable Florida locations. For 60 years, Minto has been building award-winning communities. Which one will be your new home? Founded in 1955, Minto is a family-owned business that has grown over the last 60+ years into one of North America’s leading builders, with more than 70,000 homes built, including 20,000 in Florida. Minto creates a wide array of award-winning new homes and resort-style master-planned communities to meet every lifestyle. The company has earned national awards and recognition that include consistently high rankings from Eliant Customer Service Surveys, Leadership in Energy and Environment Design (LEED) and multiple national awards in community and home design. For information, visit mintofla.com. 1. Minto’s Grand Retreat coach home model at Harbour Isle in Bradenton, Florida features high, detailed ceilings, and a popular open floor plan. 2. 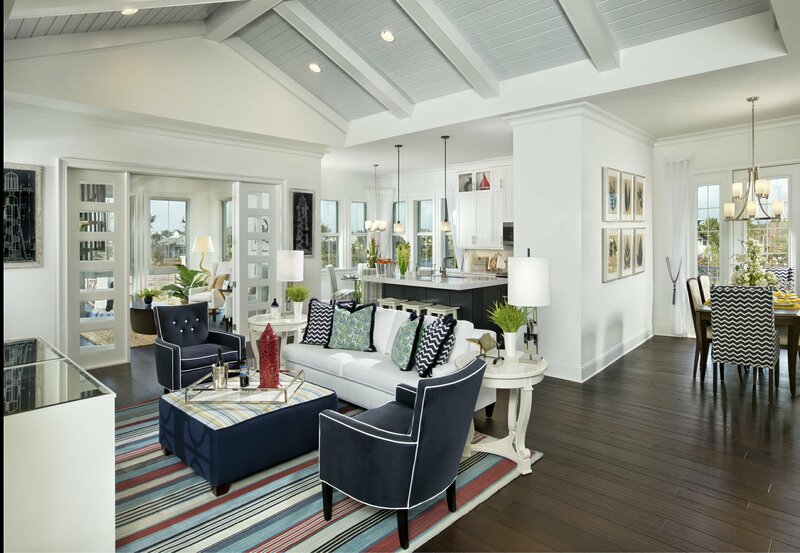 Minto’s Hibiscus Grande Retreat coach home model reflects the active lifestyle at The Isles of Collier Preserve with themes of boating, water and fishing, touches of classic nautical in navy blue and white with pops of kelly green to create a light and cheerful mood. 3. 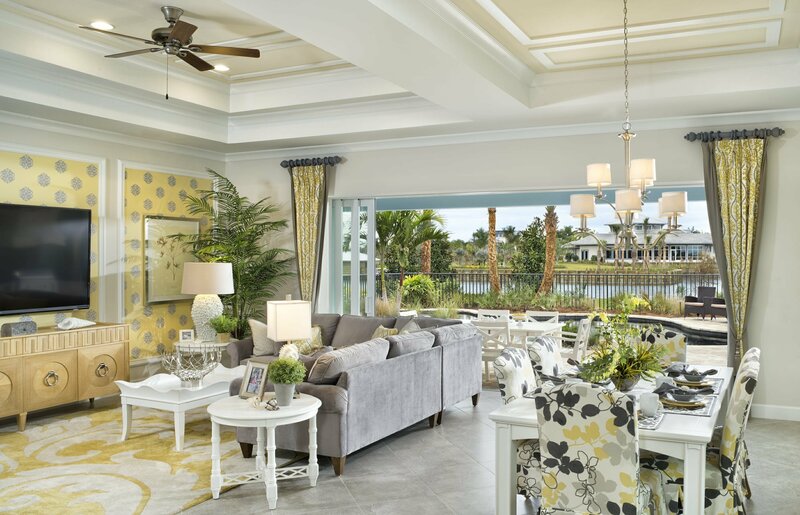 Minto’s Wisteria model at The Isles of Collier Preserve truly brings the outdoors in and uses the popular color scheme of “grey plus one” with pops of yellow. 4. 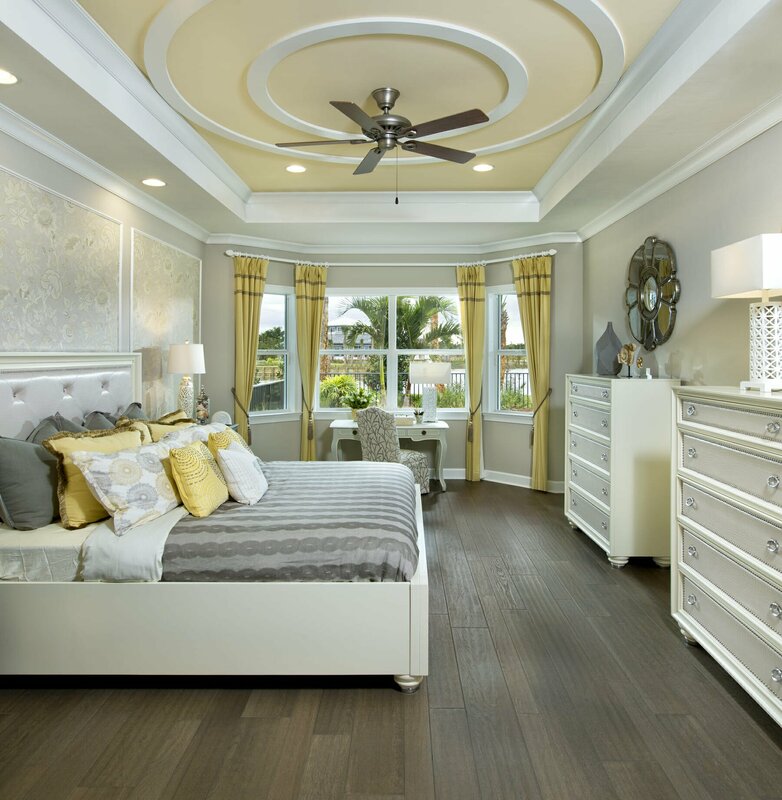 Minto’s Wisteria model master bedroom carries the “grey plus one” color scheme and features Minto’s distinctive and popular touches of detailed ceiling treatments and bay windows.